First, the venerable Rubik's Cube recreated the masterworks of Da Vinci. Today's example, while not quite as grandiose, is still impressive. 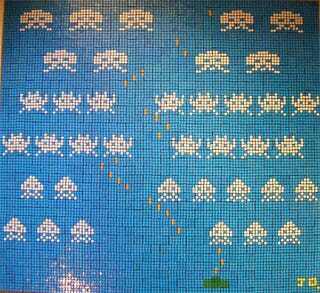 Ladies and Gents, the Space Invaders are here. And Sonic. And Pac-Man. Even President Obama makes an appearance, although I don't think Hope: The Video Game is out just yet.